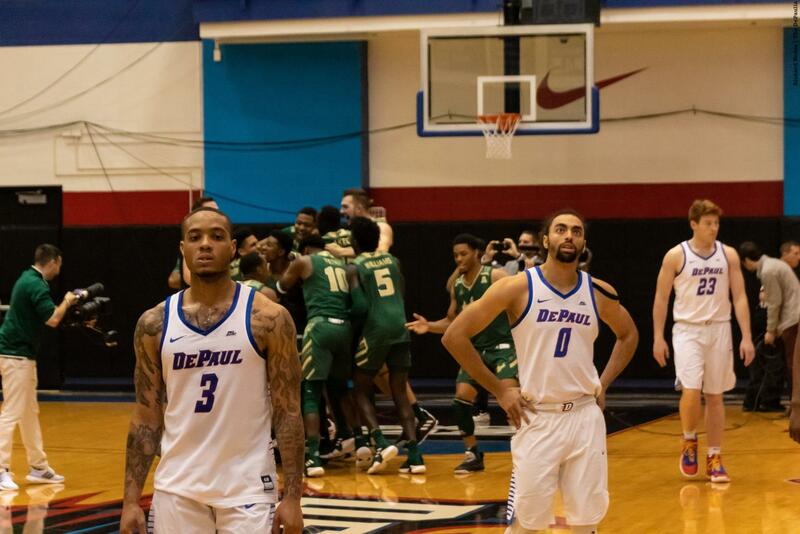 Going for a CBI Title and first 20-win season since 2006-07 , DePaul fell behind by as many as 17 points midway through the first half and never recovered losing to South Florida 77-65 in the deciding game of the CBI finals at McGrath-Phillips Arena Friday night. 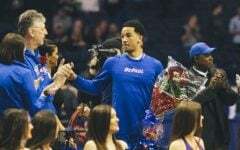 The night started with a three from USF sophomore Justin Brown and they never relinquished the lead the rest of the evening despite DePaul closing within one point at various points in the game. 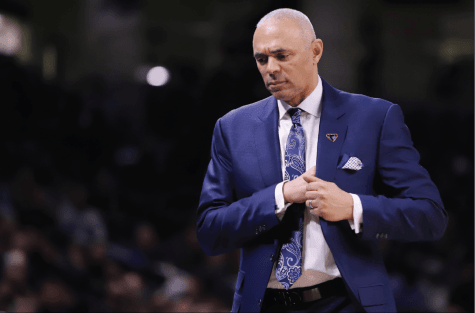 With six minutes to go in the first half, the Bulls had already built a 37-20 lead. 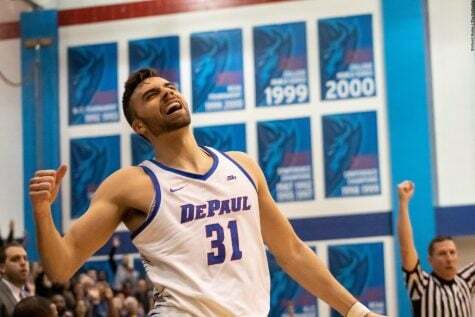 DePaul began to work its way back into the game, however, primarily due to its effort on the defensive end with a quick 14-2 run spanning the final 6:12 of the half as USF missed 12 of its last 13 shots that had a crowd of 1,876 mostly DePaul fans right back in the game as well. 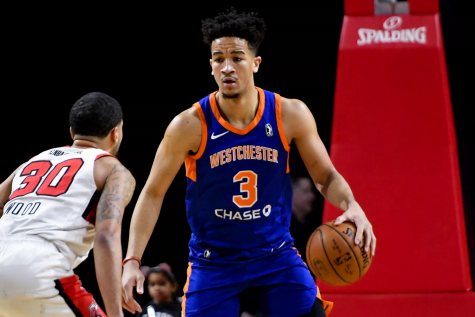 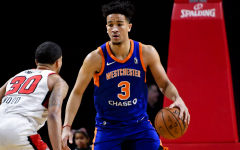 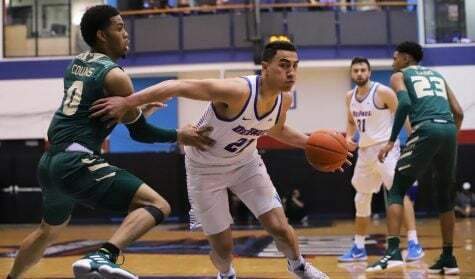 That first-half rally was also led by redshirt-sophomore Devin Gage, who returned from a three-game absence, to finish with a team-high 19 points, 13 of which came in the first half. 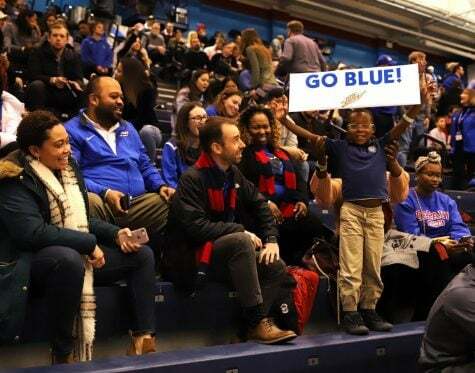 After cutting the deficit to one with back-to-back baskets by senior forward Femi Olujobi early in the second half, the Bulls quickly responded with a 9-2 run to take back control of the game and continue to give the crowd little to cheer about in the second half as USF led by as many as 14 late in the half. 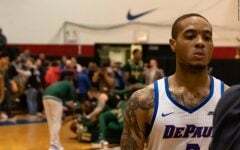 Despite a late rally that cut the margin to seven, that was as close as the Blue Demons could get inside the last two minutes. 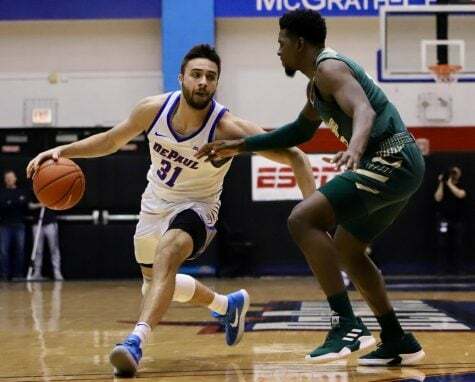 Less than 48 hours after senior guard Max Strus scored 32 points while playing 45 minutes in overtime win in game two, he struggled in this one finishing with just 16 points on 2-of-16 shooting. 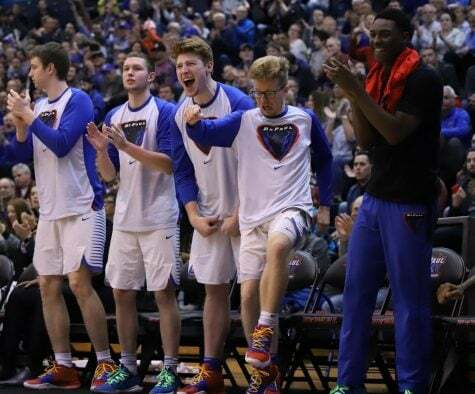 While disappointed in the result and falling short in a championship game, Strus said he was optimistic about where the program is heading in the future. 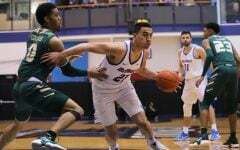 The senior guard finished the season with 705 points to rank third on the all-time single season scoring list joining Mark Aguirre as the only other player to score more than 700 points in a single season. 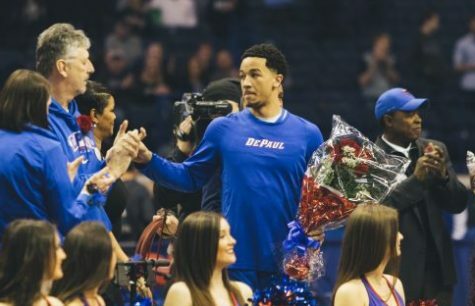 As DePaul begins to look to the future, Leitao added the next step for the program is to learn from the experience of postseason play and being able to reflect on not only what you did, but what you could have done to be better. 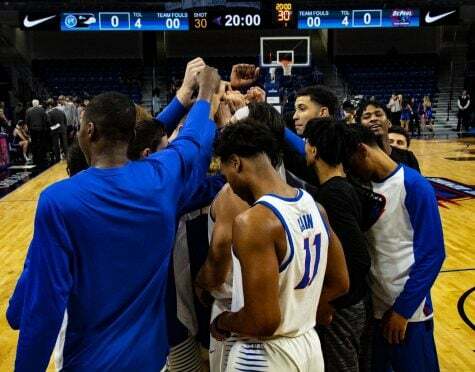 Leitao added the good players and programs are able to repeat this every day and is something the players need to understand with more expected of them in the future. 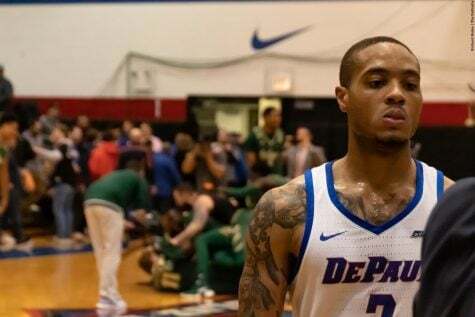 DePaul played this game without senior guard Eli Cain, who missed his first game as a DePaul player after suffering a dislocated wrist and elbow in game two of the series. 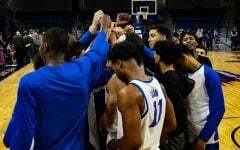 The Blue Demons finished the season 19-17, which was still good enough to secure its first winning season since 2006-07.